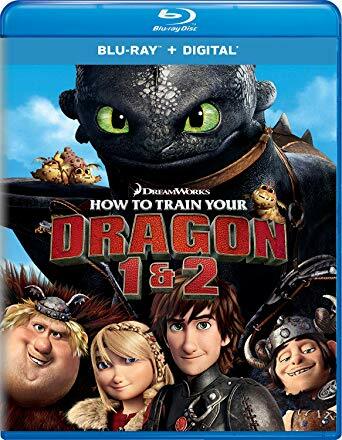 Head over to get this How to Train Your Dragon 1 and 2 on Blu-ray + Digital for ONLY $14.99 (Retail $29.98)! How to Train Your Dragon Hiccup is a young Viking who defies tradition when he befriends one of his deadliest foes—a ferocious dragon he calls Toothless. Together, the unlikely heroes must fight against all odds to save both their worlds in this "wonderful good-time hit!" (Gene Shalit, Today) How to Train Your Dragon 2 When Hiccup and Toothless discover a secret ice cave filled with hundreds of wild dragons and a mysterious Dragon Rider, the two fiends find themselves at the center of an epic battle to save the future of men and dragons!